This is the first collection of Julian's Music put together from Rhino Records and Vh1 Behind The Music. These are the singles that were released from each of Julian's records from his first to his recent "Photograph Smile". 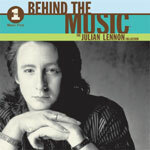 Visit www.vh1.com to see when they are going to re-air Julian Lennon's Behind The Music.